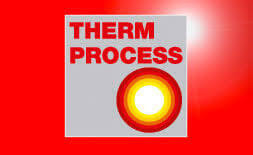 THERMPROCESS uncovers all of the issues surrounding industrial thermo processing plants. Heat technology, environmental and resource preservation or energy efficiency: If you want to be actively involved in shaping the future of thermo process technology, then THERMPROCESS 2019 is a must. EMO Hannover is the world’s most international metalworking trade fair. 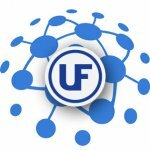 As the leading fair of its kind, it serves as a networking hub epitomizing the highest level of expertise among providers and users. EMO Hannover is the only trade fair to tap into the world’s globalized markets – at the heart of Germany, one of the world’s leading machine tool sales markets. WESTEC, the leading California manufacturing trade show, that has been providing solutions to manufacturing challenges for 55. At WESTEC, you will connect with thousands of leading manufacturers in critical industries such as aerospace, medical, industrial machinery and consumer goods. 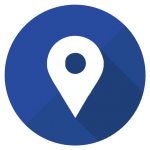 You will compare the newest technologies side-by-side while meeting face-to-face with the experts who developed them. Learn more about the business aspects of manufacturing in three days than you typically do in three months at dozens of complimentary educational sessions geared toward industry executives, including interactive Knowledge Bars, topical keynote addresses and informative new-product demonstrations. The West Coast is a hotbed of opportunity for companies with new products and leading-edge ideas, and a center of concentrated manufacturing intelligence. WESTEC has an enhanced exhibit area and more of the exhibitors you want to see — giving you the ideal opportunity to find solutions to your manufacturing challenges. A showcase for global technologies and exhibitors, WESTEC 2019 ultimately provides you with the newest ideas to improve your operations and increase your profits. Heat Treat 2019, the biennial show from the ASM Heat Treating Society, is considered the premier, can’t-miss event for heat treating professionals in North America. This year’s conference and expo will feature an exciting mix of new technology, exhibits, technical programming and networking events geared toward the heat treating industry. The expo is 3 days of face-to-face networking opportunities with approximately 200 heat treat exhibitors/companies. 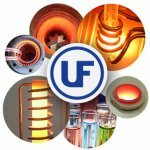 All of the top companies and big names in the heat treating industry will be represented!